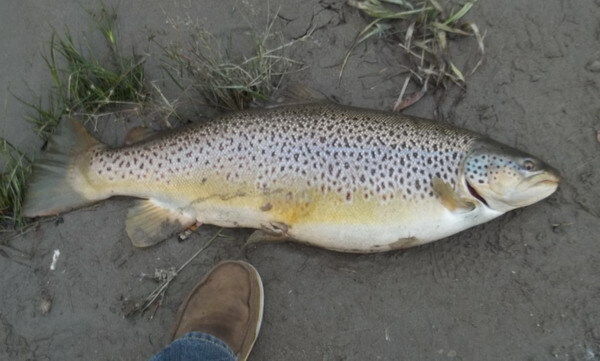 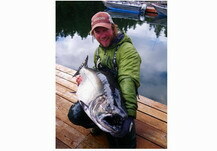 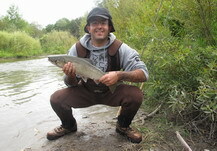 Our Gallery is Dedicated to our Customers, Friends and all Centerpin Anglers..
" Brown Hen " .. Nov / 12 Toronto, East. 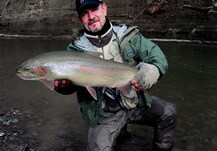 by Jim M. C.A.C "
A big part of our sport is capturing the moment while out float fishing and enjoying these magnificent species of game fish ....Steelhead! 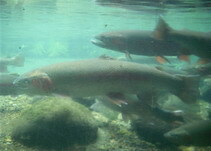 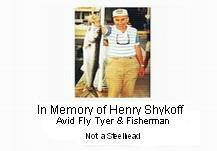 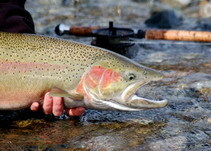 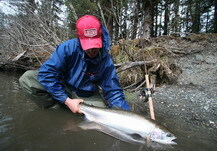 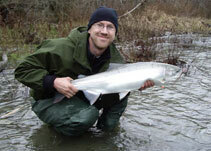 Our sport, and your contribution to the future survival of steelhead depends on it! 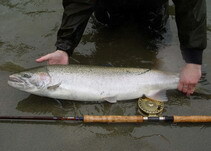 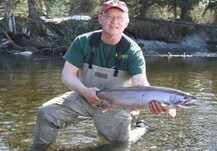 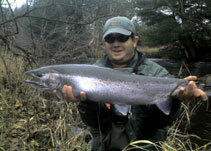 We welcome submissions of your prized photo of that special fish for our enjoyment, by sending it to us using the following link .. "steelhead pics"
Note: By you sending us your photo (s), you agree that we may use & publish all photos throughout this site or any affiliated sites without your consent or permission and the picture rightfully becomes the property of Centerpin Angling upon arrival in our inbox.. 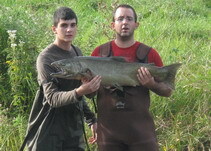 Some photos may not be posted, please exercise proper handling of fish. 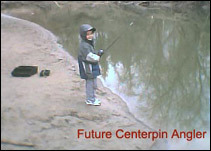 All generations from this page are dedicated to fishery enhancement! 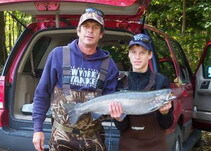 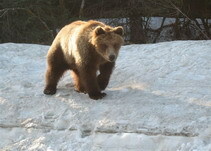 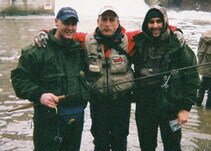 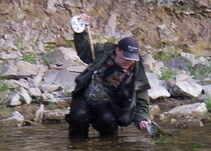 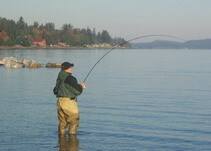 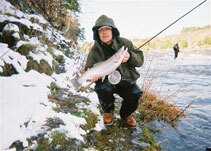 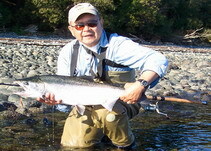 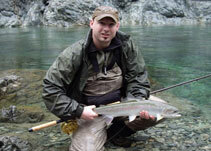 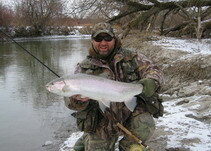 "Fly-In wilderness Fishing Trips of a Llifetime"
Salmon & Steelhead trips on Lake Ontario Tributaries. 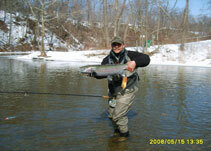 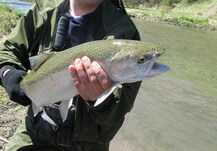 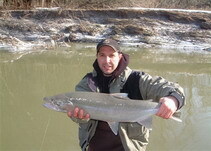 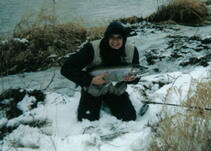 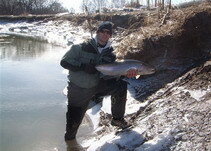 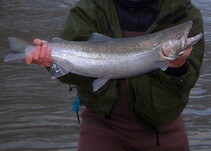 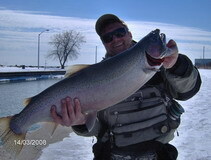 Steelhead trips on some of the most beautiful Streams, Creeks and Rivers that Lake Erie has to offer. 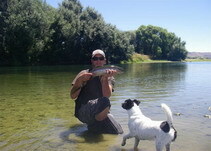 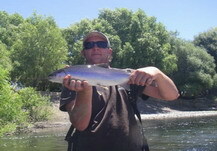 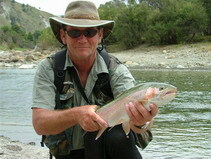 Trips are Fly Fishing, Centerpin, Spin Casting and Drift boat. 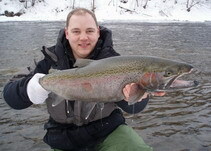 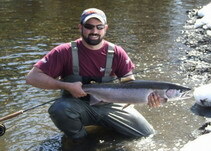 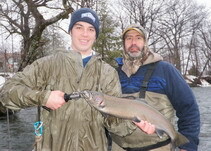 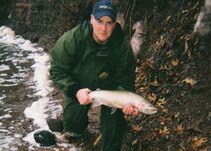 Fishing the eastern shore of Lake Ontario and its tributaries including the famous Salmon River in Pulaski, NY. 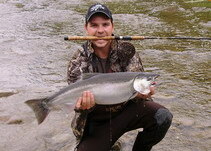 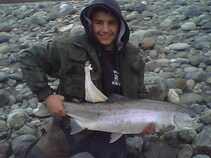 Trophy Salmon, Steelhead, Brown Trout. 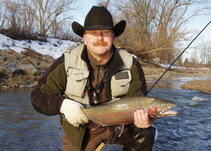 Pro-staff member of Team E Outdoors and Reel Monsters.